In the United States, the popular symbols of organized crime are still Depression-era figures such as Al Capone, Lucky Luciano, and Meyer Lansky—thought to be heads of giant, hierarchically organized mafias. In Double Crossed, Michael Woodiwiss challenges perpetuated myths to reveal a more disturbing reality of organized crime—one in which government officials and the wider establishment are deeply complicit. Delving into attempts to implement policies to control organized crime in the United States, Italy, and the United Kingdom, Woodiwiss reveals little known manifestations of organized crime among the political and corporate establishment. A follow up to his 2005 Gangster Capitalism, Woodiwiss broadens and brings his argument up to the present by examining those who constructed and then benefitted from myth making. These include Italian dictator Benito Mussolini, opportunistic American politicians and officials, and, more recently, law enforcement bureaucracies led by the FBI. Organized crime control policies now tend to legitimize repression and cover up failure. They do little to control organized crime. While the U.S. continues to export its organized crime control template to the rest of the world, opportunities for successful criminal activity proliferate at local, national, and global levels, making successful prosecutions irrelevant. "Presents a blistering critique of both the origins of the US approach to organized crime and the application of the current policy. Double Crossed offers a convincing portrayal of American anti-crime strategies as rooted in hypocrisy and xenophobia, which has led to a thoroughly counterproductive approach today....An incisive and thought-provoking consideration of the pathologies infecting US organized crime control. Anyone interested in the subject, especially the men and women charged with crafting US strategy, would do well to ponder its conclusions." "As one of the foremost thinkers on organized crime, Woodiwiss rarely disappoints. In this book, he is on great form. Informative, challenging and novel this is one of the most important histories of the topic published in recent years." "Woodiwiss has dedicated his career to unpacking the often toxic packaging surrounding the concept of organized crime. In Double Crossed, Woodiwiss focusses on the myths of organized crime, its social, economic and legal constructions and, most importantly, the architects and beneficiaries of this myth making. Double Crossed is a key text for scholars of organized crime." 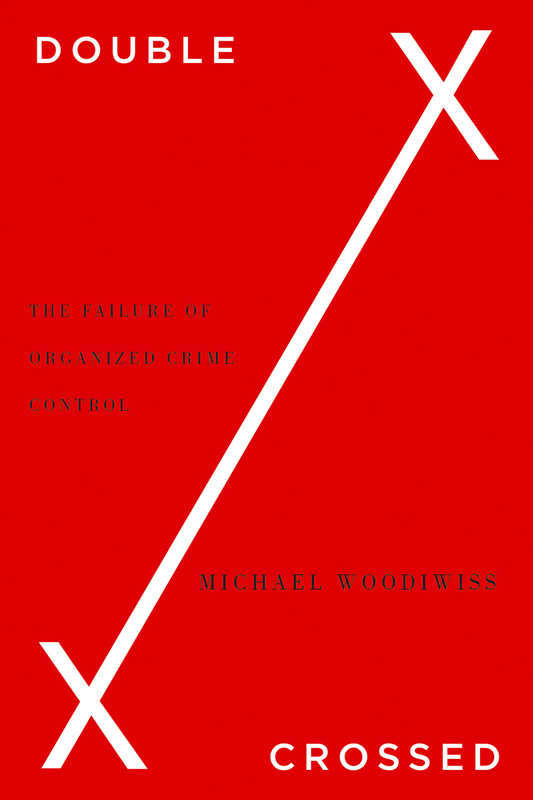 "Woodiwiss once again brings solid historical evidence and analysis to the task of refuting conventional wisdom that prefers to see organized crime as something external from our capitalistic political, economic and social systems. The importance of his work is not merely to ‘set the record straight’ but also to warn against the dangers of continuing to target easily identifiable, often ‘foreign’, targets while leaving exploitive corporate and political interests intact."